A whole food, plant-based diet is the optimal diet for fantastic health and a longer life. An easy way to transition to this way of eating is by starting each day with a nutrient-packed smoothie featuring leafy greens, a variety of fruits and vegetables, and a boost of fat and protein from nuts and seeds. 31 Green Smoothies takes you through a month’s worth of unique and delicious recipes. Feel free to write in this book! There is space for notes and a 5-star rating system so that you can flip back to your favorite recipes after you’ve tried them all. 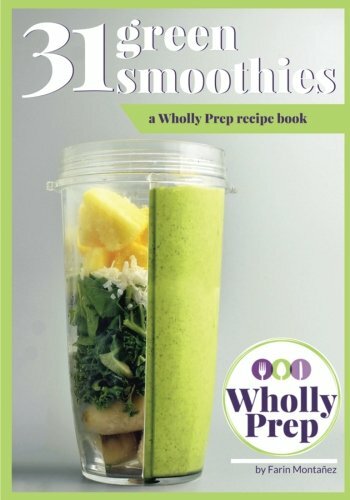 This recipe book is the first in the Wholly Prep series, which is designed to help you prep all 21 meals for the week in just 2 hours. Wholly Prep instructions are included with each recipe.